Minister of Labour and Employment, Dr Chris Ngige has warned the South-East not to vote against President Muhammadu Buhari in 2019. Ngige said the Igbos could miss the opportunity to produce the president of the country in 2023 if they fail to support the president. 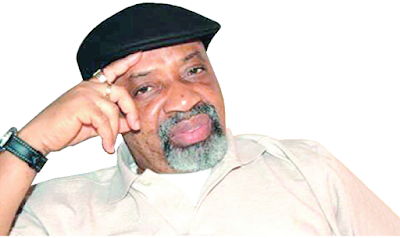 Ngige, speaking with reporters in Obosi in Idemili North Local Government Area of Anambra State on Sunday, said Igbos have the chance to take over from Buhari in 2023 only if they play their cards right in the 2019 general elections. Ngige stressed that President Buhari’s reelection was the South-East’s shortest route to the presidency. He said, “This man (Buhari) has only one term (four years) to do and go home, and an Igbo man will replace him. But if you leave this shortest route and take a gamble, you are on your own. “If Igbo refuse to play their cards right in next year’s general elections, the South-West will take away the chance from them. “They will produce the next president after Buhari because the zone has shown a demonstrable commitment to Buhari’s cause. “My good friend Babatunde Fashola has blown the whistle. What he said should be a warning signal to the Igbo, because you can’t stop the South-West from producing the next president of the country after supporting Buhari and the APC government. “That is why I’m telling our people now to come out en masse in next year’s election and vote for Buhari so that nothing will stop you from succeeding him in 2023.” He further described the vice-presidential slot given to the Igbo by the Peoples Democratic Party as a “mere spare tyre that might be used for over six years”. The South-East zone has failed in their bid to have one of their own as the leader of the country since the return of democratic rule in 1999.